Professor Amilton de Mello, Meat Science and Food Safety, University of Nevada, Reno. “Bacteriophages are specific to a certain bacteria. It is an extra tool that we have in the market fight specific microorganisms, in our case, Salmonella”. 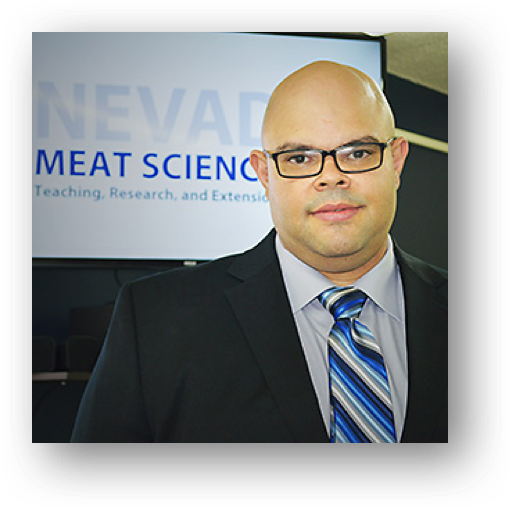 Professor Amilton de Mello is the Meat Science and Food Safety Program Leader at the University of Nevada, Reno. He is widely regarded as an expert on food safety, quality assurance, and meat science. Dr. de Mello recently presented research at the American Meat Science Association conference showing that showed how his team had reduced Salmonella in ground meat by as much as 90%. Micreos had the opportunity to speak with Dr. de Mello about his exciting work. Read more below. Q: Food safety is an important part of your work. In your view, why are we seeing more reports of food borne illness in the news these days? One part of that improved surveillance system is the involvement of the U.S. Centers for Disease Control, which uses new technologies to track and report outbreaks more than they did in the past. One thing you need to understand is that we are not actually seeing more outbreaks over the last nine years. In fact, foodborne illnesses are actually decreasing, especially ones related to meat production. Also, interest in organic food has grown over the last 10 years, and consumers are expressing increased concerns regarding what types of foods they are consuming. Q: How important is the development of bacteriophages for further increasing food safety? A: I think it’s really important. To accomplish our national food security mission, you need to have a supply of safe meat. You are talking about production and food safety at the same time. Both in my opinion, “walk together.” that’s why its important we have more food safety interventions out there to guarantee that our food is wholesome. Q: What are the unique advantages of adding phages to the food safety toolbox? A: It is important to understand that the meat industry in the United States is reasonably safe, but there is a huge public concern about Salmonella. The bacteriophages are there as one Salmonella-specific intervention that can be used to improve food safety systems. For example, if we talk about organic acids, they are not as specific as phages. They decrease bacteria, but in an indiscriminate way. Bacteriophages are specific to a certain bacteria. It is an extra tool that we have in the market fight specific microorganisms, in our case, Salmonella. Q: There are many misconceptions about phages. For example, some have warned that bacteria can become resistant to them. Can you address that? Q: Do bacteria develop resistance to phages and antibiotics at the same speed? A: No – Bacteria has a hard time developing resistance to phages because of differences in the mode of action between phages and antibiotics. For example, antibiotics attack bacteria by shutting down all their functions, whereas phages inject DNA inside of the bacteria. It’s harder for the bacteria to adapt in this case. Antibiotics have to penetrate the bacteria and start shutting down all these specific functions. So when they start doing this the bacteria recognize that ‘the antibiotics are here and it is time to find another way to walk around them.’ It is like if you are in a car and there is a problem with your battery you can go and get a new one. That’s how bacteria and antibiotics work. They look for other options in their metabolism that can compensate for what the antibiotics are doing. Q: All available evidence shows that phages are safe, effective, and natural. They’re harmless to plants, humans and other animals. So, what’s the catch? Are there any caveats to using phage technology for food safety? A: Phages are very specific. There are a lot of advantages of using specific food safety interventions but there are also disadvantages. Sometimes you are not looking for the “eagle eye” approach. For example, anti-Salmonella phages will not protect against E. coli. When I was talking to Micreos I asked a technician about creating a cocktail with different phages that can attack both E. coli and Salmonella. It’s hard to do this but it is something they were thinking about for the future. Phages are great against specific bacteria, and if you are having a problem with Salmonella – you should use them. But there are also other bacteria, and you need to find a way to address them as well. Phages are especially useful because they do not cause any sensory or color problems, and they are specific against bacteria you want to eliminate. Q: You have opened a new meat research lab at the University of Nevada. How will you continue to work on phages in the future? A: What we’re doing right now isn’t novel work. It is work that expanded on the application of existing phage technology. We have some academic papers out there for specific meats but not for all of them. This was all just setting the stage. We saw a log reduction and the figures were great. Our next steps are two major projects. For the first one we are combining different food safety interventions to find the most effective protocols to eliminate both Salmonella and E. coli. This project will start in September. We’re going to find a way to combine multiple applications in a better way. We’re going to use organic acids, U.V. light, hydrogen peroxide, phages, etc.